Pray For Seven is a fantastic initiative from the Diocese of London as part of their Capital Vision 2020: encouraging Christians to pray regularly for seven specific individuals for an opportunity to share your faith with them. This is something that the PrayerMate app is perfectly suited to assist in. 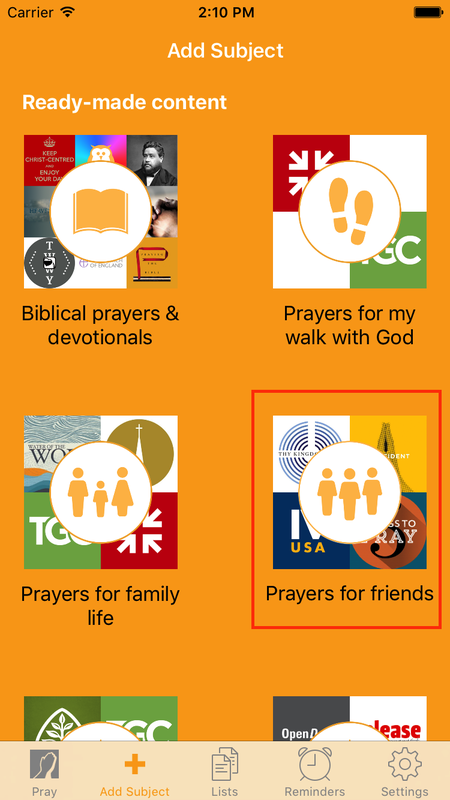 PrayerMate allows you to enter your seven friends into a list. You can add a photo or notes too if it helps. 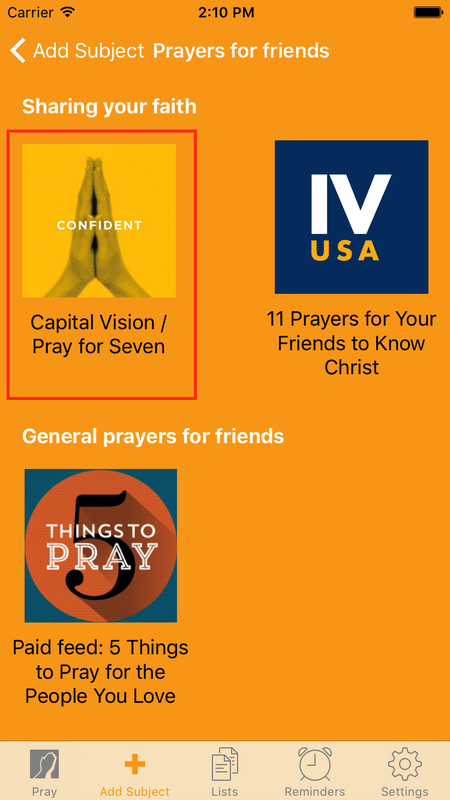 Each time I launch the app I’ll be given a selection of things to pray for, and over time this will include each of my seven friends.